Donna Kukama is currently completing her Master’s degree in MAPS, a post-graduate programme affiliated with the Ècole Cantonale d’Art du Valais (ECAV) in Sierre, Switzerland. She obtained a B.A. 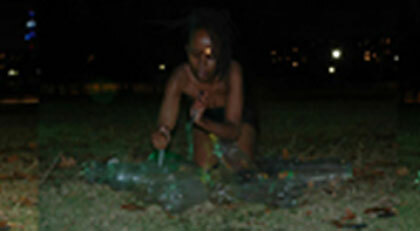 (Painting & Printed Image) as well as a B.F.A (Performance & Video) at the Tshwane University of Technology in South Africa. Donna has performed and participated in exhibitions across South Africa, Dakar, Switzerland, France, Belgium, Spain, and Serbia.